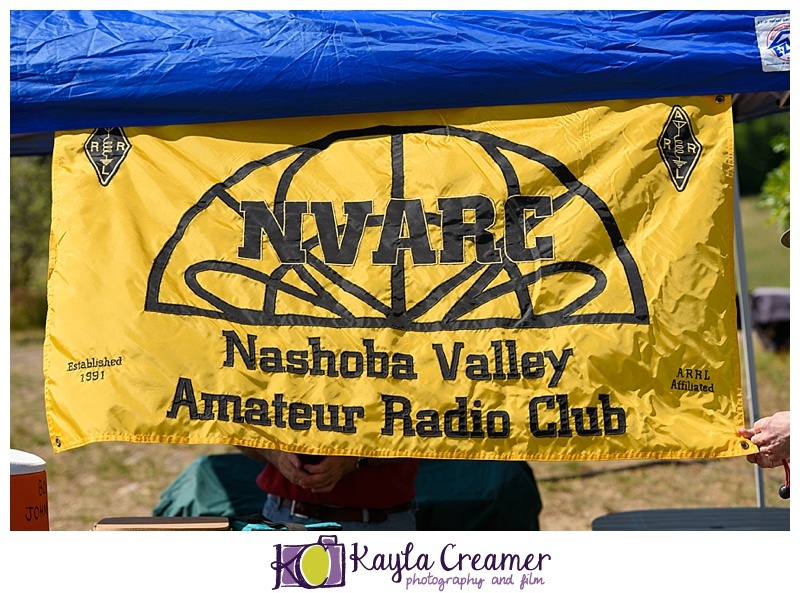 I had quite a bit of fun doing some MA event photography this past weekend during the annual ARRL Field Day. For those who are unfamiliar with Field Day, it’s an educational, operating and public relations event where Ham Radio operators, mostly in the US and Canada, try to contact as many other operators as possible in a 24 hour period. All contacts are logged and clubs get points for contacts. This was my first time attending a Field Day as a participant, as I received my license in December. 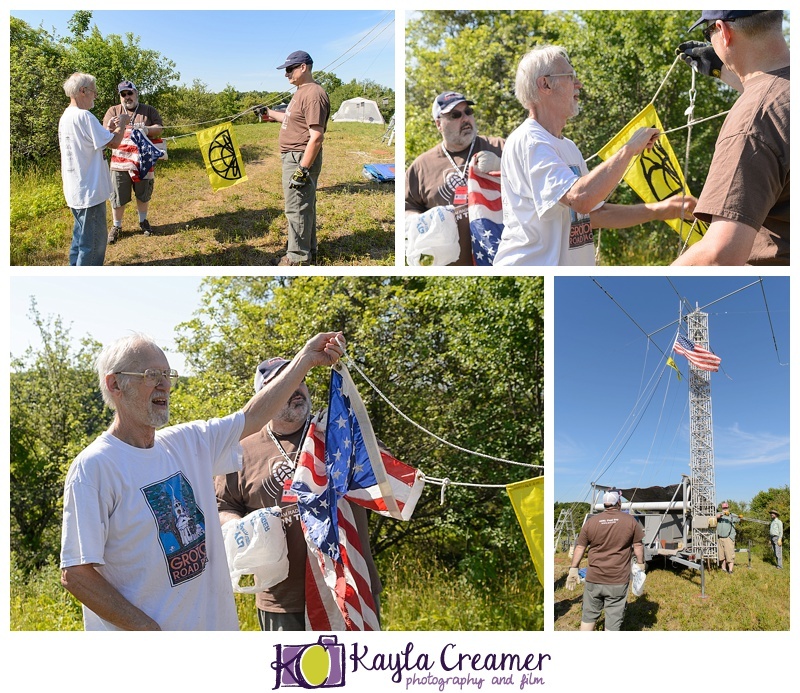 My dad, W1DEA, a long time Ham Radio operator, and I both attended the Nashoba Valley Amateur Radio Club (NVARC) Field Day event at the Heald Road Orchard in Pepperell, MA. The day started pretty early for a number of us. 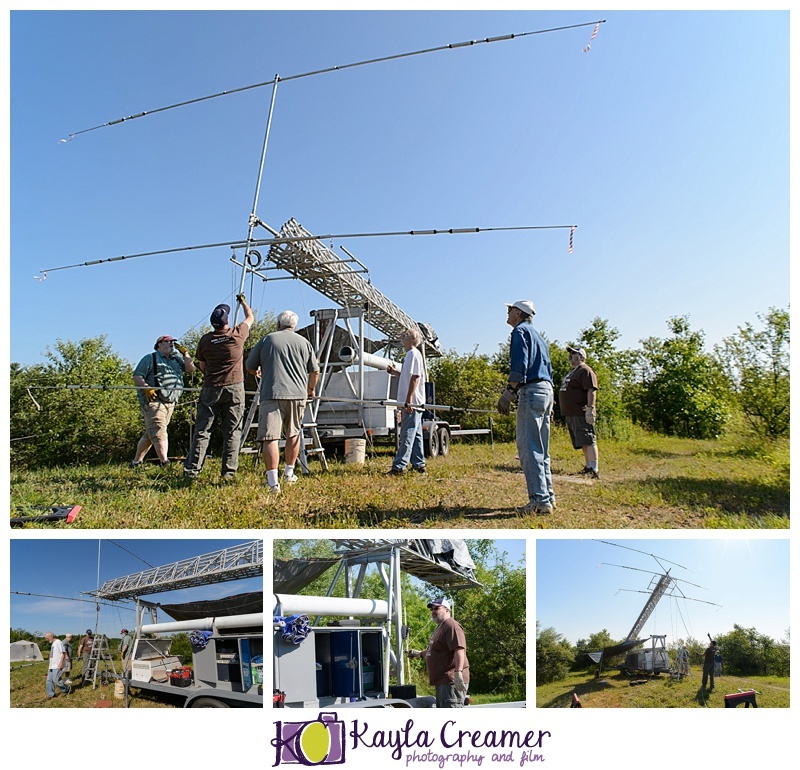 A group of us met up for breakfast at Charlotte’s Kitchen in Pepperell then we made our way to the orchard to start setting up antennas and equipment around 8 am. We had three stations setup by 2 pm, which was the start time for the event. At 2 pm, operators at all three stations began making and logging contacts with other operators throughout the world. Luckily we had some great, although very warm, weather throughout the weekend. Jim, N8VIM, brought along his quadcopter and gathered some great aerial footage of the site. You’ll see a few shots of Jim and his quadcopter below. If you’ve never heard one in person, they sound like a flight of bees. I had several occasions where I found myself swatting at non-existent flies throughout the day. It turned out it was just Jim’s quadcopter overhead. Skip, K1NKR, did several demos of Amateur Digital Television with Fred, AB1OC, from the Nashua Area Radio Club. I haven’t been on the air too much since getting my license, other than to have some conversations with my dad, so I was pretty excited when Skip asked me to make the first contact with Nashua via DATV. DATV is kind of like the original Skype. You can have video conversations with other people who are on DATV, but who you can contact is largely determined by propagation. We had a few CW operators throughout the event. I don’t know any Morse Code, although I’m making it a goal to learn by next year. I spent some time watching Bruce, K1BG, operate CW. It was cool to watch, but I didn’t have a clue what anyone was saying. A couple of times, Bruce would make contact with someone he knew and then I’m pretty sure they would have a brief conversation via Morse Code. My dad and I stayed until about 11:30 Saturday night, then we went home to get a few hours of sleep before coming back around 5:30 am. I made a few stateside contacts on Saturday evening. Some that I can remember offhand were in LA, San Diego, Texas, and I believe I talked to someone in either North of South Dakota. On Sunday, I made contact with a guy in Italy and a guy in Lithuania. We could hear someone in Russia, but we couldn’t make contact. All in all, it was a great weekend. I’m sore, tired and sunburned, but looking forward to next year’s Field Day. If you have an interest, be sure to find out where your local amateur radio club is and if they’ll be participating. The ARRL has a handy list of all of the participating clubs and their locations on their website. We had a number of people who stopped by to see what was going on. Your local club would probably be more than happy to take you on a tour of their site and tell you what Ham Radio is all about! A little CW humor from Bruce. Jim and Larry reviewing some quadcopter footage.